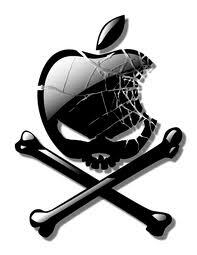 You knew it was a matter of time before Apple got hacked by the likes of recent celebrity hacker groups. I’ve been saying this for years when asked why Windows PCs are sitting ducks for these types of attacks. My stock answer has always been, “if you want to make your mark in the hacker community, do you attack the masses or do you single out a small community (of Mac users)”. Oddly enough, I am kind of relieved. After years of defending why Windows is more popular than Mac, it’s nice to see they are vulnerable to hackers as well. I’m not saying I condone it, just that I would point out that no one is safe anymore. The Toronto Star article mentions that a hacker group has taken responsibility for the recent attack which includes a list of usernames and passwords off an Apple server of which it’s contents have been posted to the internet. More information about the Toronto Star article can be found here.